The E018 is one of the top models in our range of explosion proof flow computers. In addition to the average K-Factor, 16 linearization points can be entered. 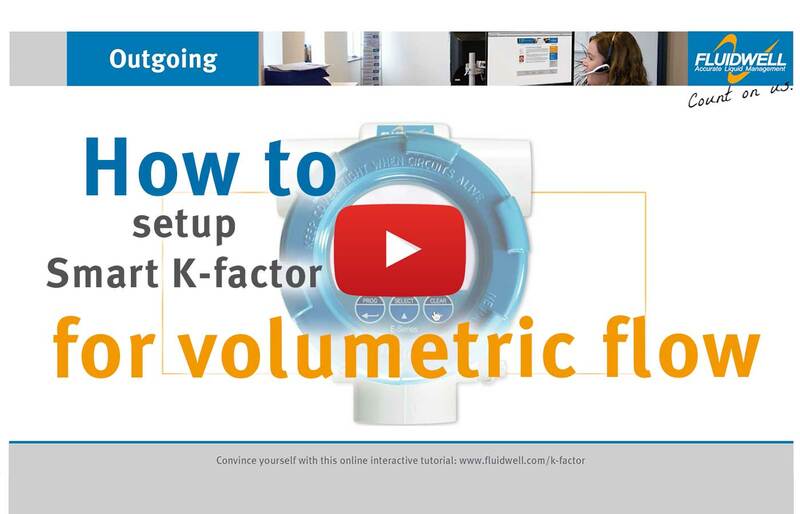 The unit will interpolate between these points greatly enhancing accuracy in any flow range. 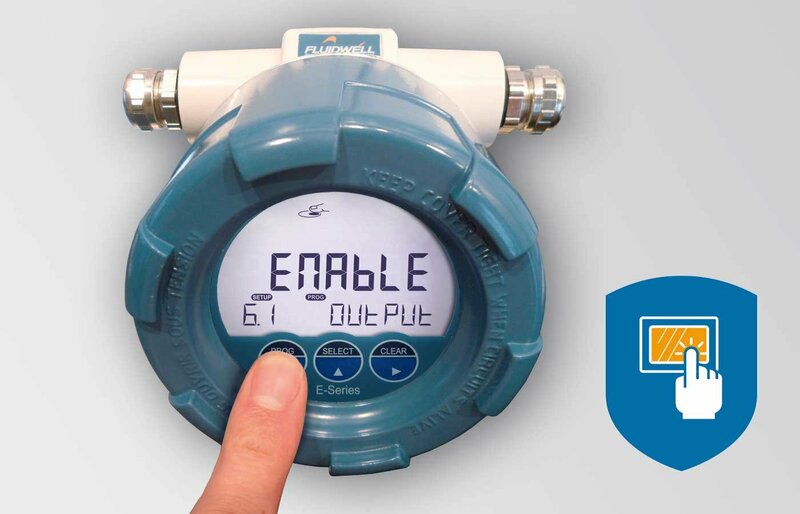 Moreover, a continuous flow rate monitoring feature is available with high and low flow rate alarm values and four alarm outputs. The E-series is distinguished by its high quality manufacturing and its functionality driven European design. 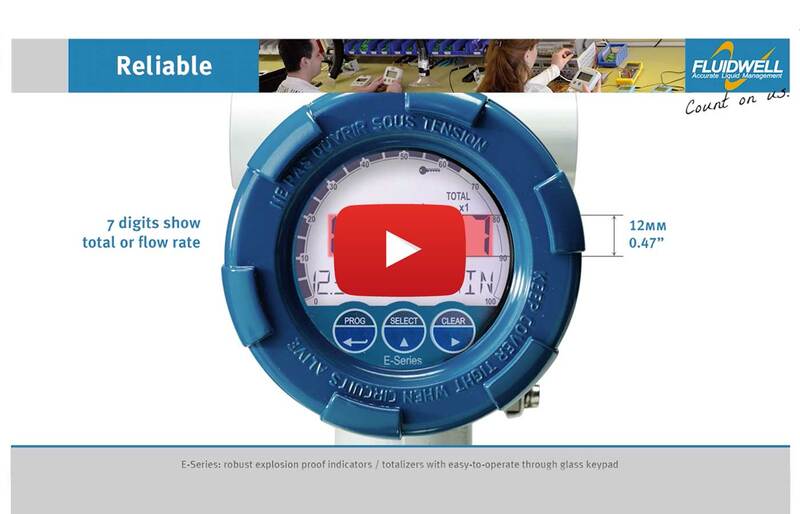 Ruggedness and reliability is where Fluidwell stands for and it is now available in a comprehensive well designed and purpose driven Explosion proof flow monitor / totalizer. Saves time and improves flexibility with the through-glass keypad: no need to open the front cover. Explosion proof according ATEX, IECEx, FM and CSA C-US. Aluminum or high grade stainless steel Ex d enclosure. Easy installation with the spacious chamber and plug & play connectors. Cost saving with an easy to install, 1” NPT thread for direct flowmeter mounting. 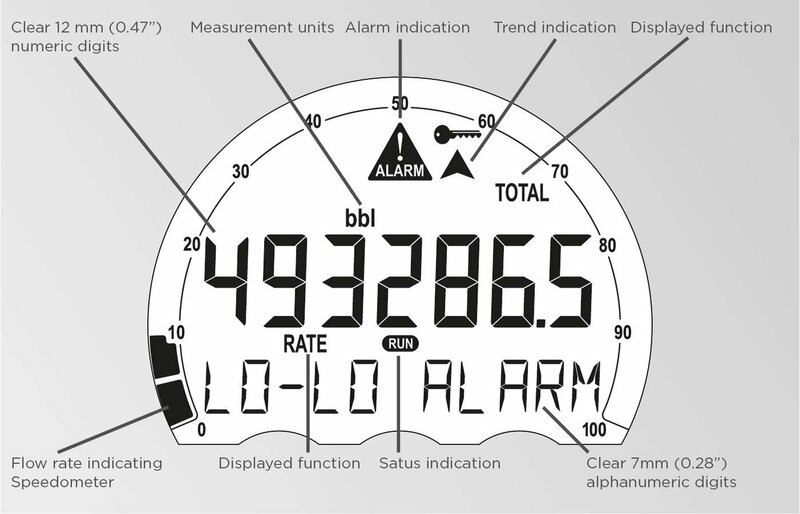 Key information at a glance as the display shows flow rate, total, measuring units and a flow rate indicating speedometer. High and low flow rate alarm monitoring. 15 point linearization of the flow curve - with interpolation. 7 digit flow rate / total and 11 digit accumulated total. Clear flashing LED backlight in case of an alarm. Ambient temperature: -40°C to +70°C (-40°F to 158°F). E018 on the HART Foundation website. 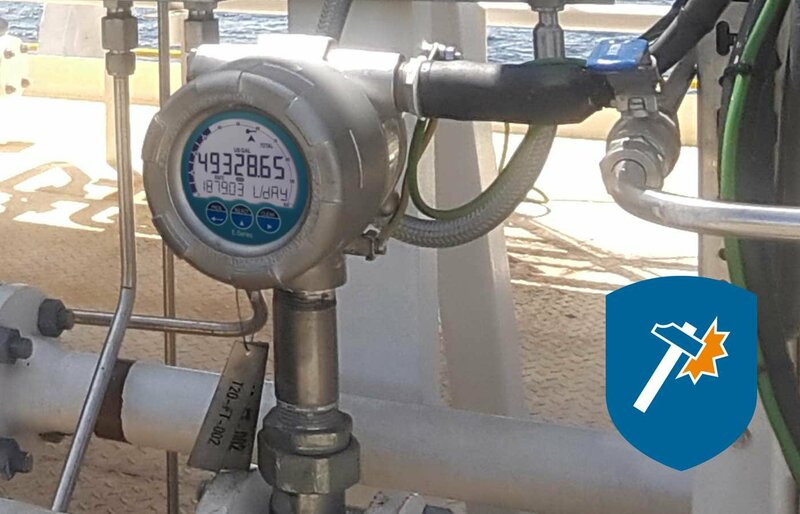 Flow measurement with mechanical flowmeters, where re-transmission of the totalizer, monitoring of the flow rate and HART communication is required. The E-Series can be used in rough and tough applications, beyond being just explosion proof. Its sturdy design and ease of use are unequaled by any other explosion proof indicator in the market! The E-Series is always your first and safest choice in explosion proof applications. 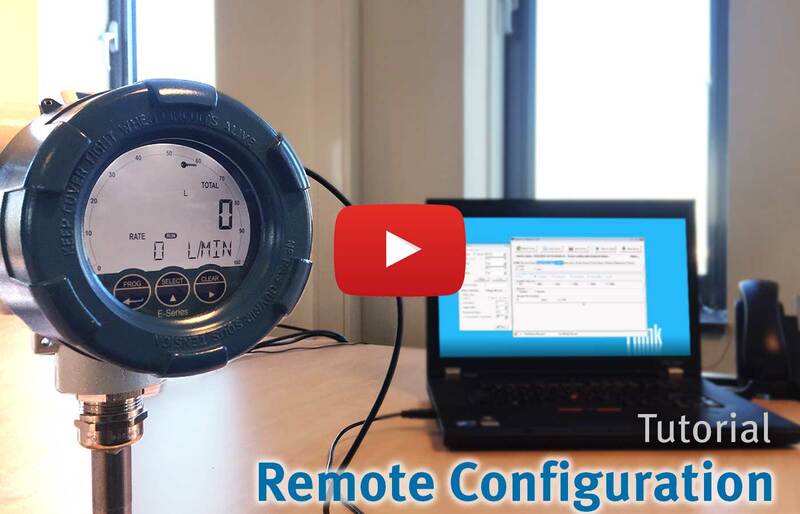 Remote control: external input for clearing total or to disable manual clearing by the keypad. Function: Scaled pulse output according to linearized accumulated total (e.g. a pulse every 3.25 gallons). Max. frequency: 500Hz or 10KHz. Adjustable pulse length from 1 msec. Up to 10 seconds. Type: Up to four passive NPN transistors and up to two isolated electro-mechanical relays. 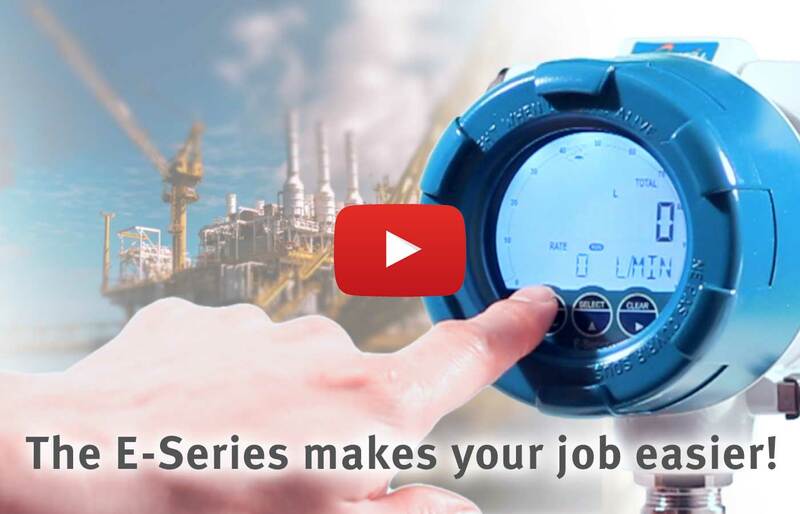 Function: Configurable alarm outputs for low, high or both flow rate alarms. 4 – 20mA. Output loop-powered. 3, 8.2, 12, 24V DC. Gas: II 2 G Ex d IIC T6 Gb. Dust: II 2 D Ex tb IIIC T85°C Db. Gas: Ex d IIC T6 Gb. Dust: Ex tb IIIC T85°C Db. XP (Explosion-proof): Class I, Division 1, Groups A, B, C, D.
DIP (Dust-Ignition-proof): Class II/III, Div. 1, Groups E, F, & G.